Real estate owners began receiving preliminary assessments (the "impact notice") in March 2016, and final Change of Assessment Notices should be mailed on or about July 1, 2016. The new assessments will be effective January 1, 2017. Final Change of Assessment Notices should be mailed on or about July 1, 2016. The new assessment will be effective January 1, 2017. Many of the new tax assessments and, therefore, the real estate taxes on commercial and industrial property, are expected to increase. 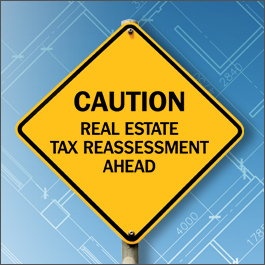 If the real estate owner is dissatisfied with the new tax assessment, an appeal must be filed within 40 days of receipt of the Change of Assessment Notice. Commercial and industrial tax assessment appeals can be complex, and the stakes can be high. If the owner of a commercial or industrial property is contemplating an appeal of the new tax assessment, it is important that they be represented by experienced, capable legal counsel. Bowles Rice has a team of lawyers ready to evaluate your new tax assessment, advise you on the best course of action and litigate aggressively in court on your behalf. James H. McCune leads the Washington County Property Tax Appeal Team at Bowles Rice. Jim, a former Washington County Solicitor and a former solicitor for the Washington County Tax Revenue Department, has represented many owners of commercial and industrial properties in tax assessment appeal litigation.